Have you ever wondered how to change the date and time on your PS4? Or even change the format of the time? If you have, then you are reading the right article. The reason this article popped into my head was because I have been watching too many military movies. Yes, military movies, and I will explain. In these movies they always talk about hours (0200 hours meet at checkpoint) and other time-related things. So, this got me thinking– could I change the time settings, hour format or even the time, on my system? The answer is, “Yes”, and I will show you how. Step 1: From the home screen, move to the top menu. Here, you will want to select the Toolbox (Settings) option. Step 2: On the Settings screen look for the option Date and Time with the icon of an analog clock. Select it. Step 3: From here we can adjust all the date and time features. The first one I want to adjust is the Time Format since this is the one that got me thinking about writing this. This option lets you alter the time to a 24-hour clock (military time). Select the Time Format option and select 24-Hour Clock. Done. 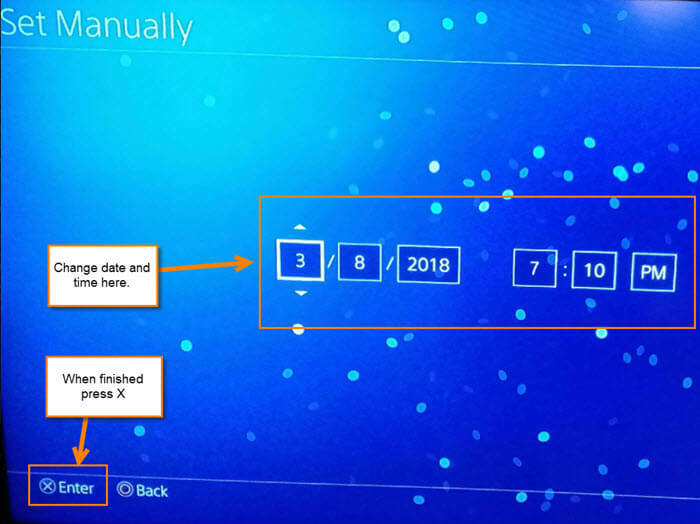 Step 4: The other option I wanted to go over is right on top– “Date and Time Settings.” If you wish to change the Date and Time, all you need to do is choose the option on top called Date and Time Settings. Once in here you have two options. For this step we will choose Set Manually first. Step 4.1: This is straight-forward. Change it to what you wish and then press the X button on the controller to confirm. Done. 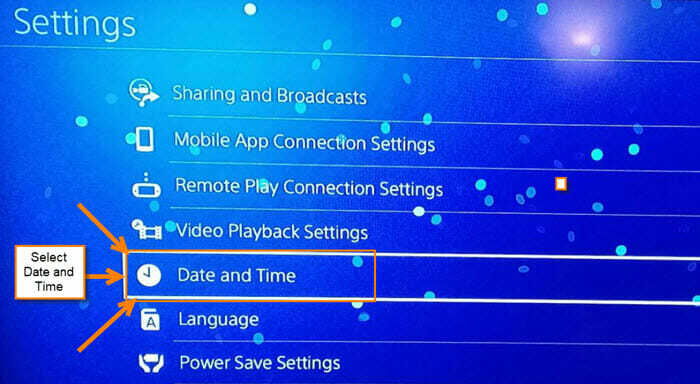 Step 4.2: The other option they offer on the Date and Time Settings screen is Set Using Internet. After selecting Set Using Internet, you will now be on the Set Using Internet screen. From here you can select one of two options: one is Set Automatically, and the other is Set Now. 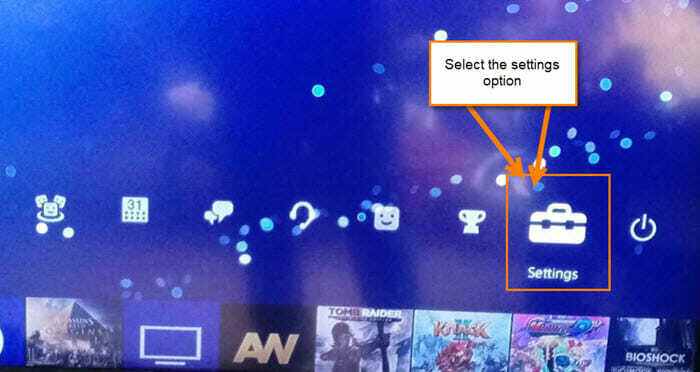 If you choose Set Automatically, it will only work if you are signed in to the PlayStation network. Once you select it, you should see the check mark next to it. A good option if you like things done for you. 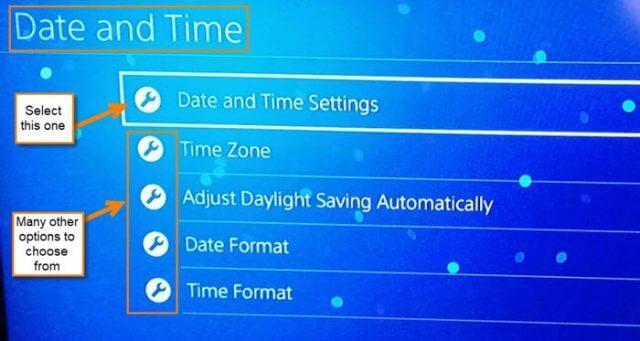 The other option is Set Now, which if you select it, the PS4 will set the time and date to the current one as soon as the option is selected. These are all very straight-forward and I will let you all mess around with them. You can now control time and space (date) on your PlayStation. So go and share this knowledge with others. What time zone or date are you in?